The top 4 finalists will be eligible for the People's Choice award of $5,000 cash. You receive an invitation to attend RootsTech and demo your submission to judges and a live audience for a chance at the Judge's Choice and People's Choice Awards. 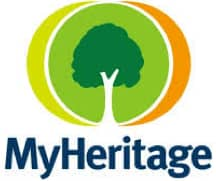 Do you have what it takes to launch the family history industry forward into the next generation? FamilySearch is challenging developers from around the globe to go head-to-head and create apps that solve any problem in the family history industry or another business, using family history data and services. The top 4 finalists will be invited to demo live, onstage, in front of 2,500+ attendees at RootsTech in Salt Lake City, Utah, where a panel of renowned judges and the audience will decide the winners! Many will enter, but only one app can take home up to $15,000 in total cash prizes and a ton of publicity. Will it be yours? Get started now by registering now and reading the requirements below. Afterwards, head to the Resources page for app ideas and data! Content: Your submission must solve a problem you’ve identified in the family history industry, or in another industry vertical using family history data or services. Check out the Resources page for some problem ideas! Supplemental Material: You must submit a demo video (hosted on YouTube, Vimeo, or Youku) that walks through the main functionality of the app via screencast or video. You must also submit at least one image/screenshot of your working app. If you’re a finalist you’ll also need to prepare a 5-minute pitch to deliver to the judges and audience (including a demo, business model, etc.) Pro Tip: Use your submission demo video to as a draft of your finalist pitch, just don’t forget to demo your app! Will users get excited about this? Is it applicable? Does it solve a genuine problem? Preference will be given to innovations where there is a minimum viable product (MVP) and are closer to delivery for real-world use. Preference will be given to ideas that directly or indirectly relate to family history activities (including photos, stories, DNA, social media, etc. ), or use family history data.